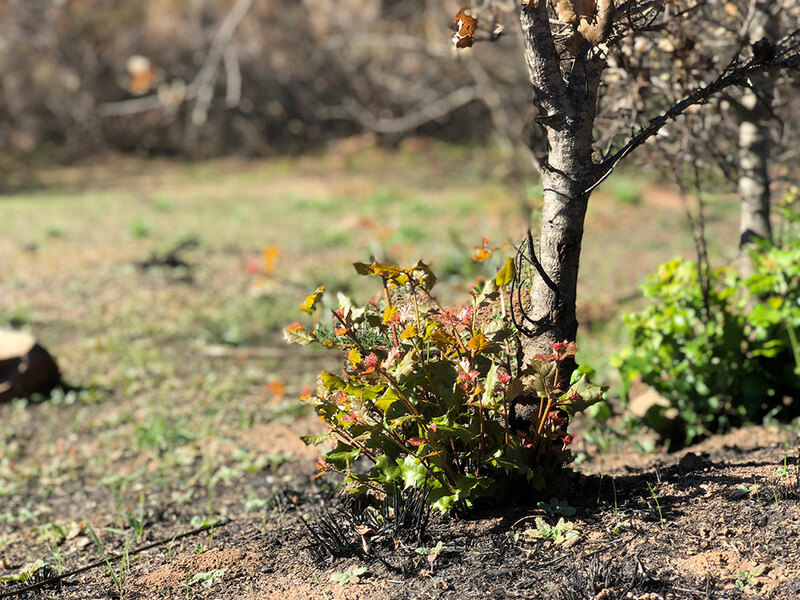 The native vegetation that covered the preserves before the Thomas Fire is adapted to fire—meaning many of the plants will grow back. 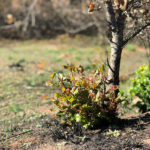 We are already seeing shoots emerge from the base of laurel sumac, yucca, wild cucumber, and soap plant; oak trees that lost their leaves have already begun to leaf out and are now blooming. And if you look closely, the soil is filled with a native seed bank that has begun to germinate. In the upcoming months and years we will watch to see the ecosystem that emerges from the fire. For the majority of our preserves, our motto will be Weed Don’t Seed (#weeddontseed). 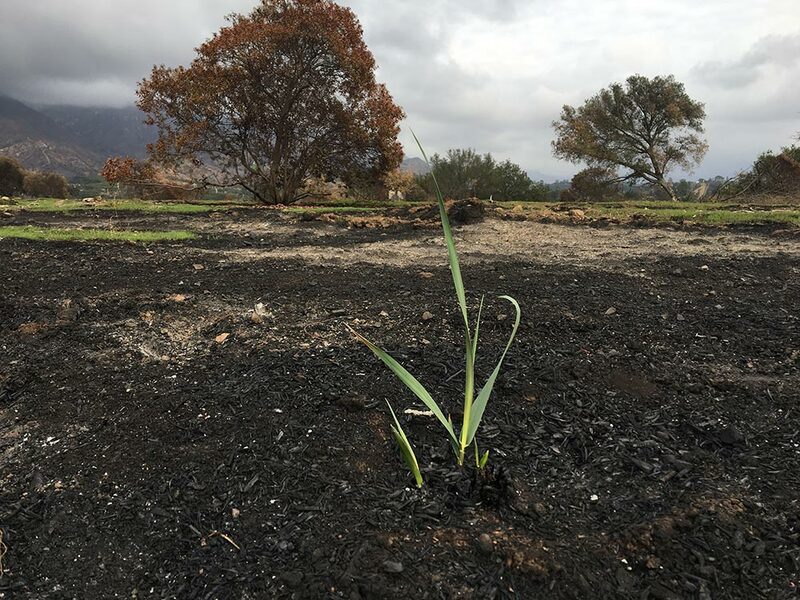 We are confident that native seeds, which are adapted to fire, will sprout from the burned soil and cover the char. 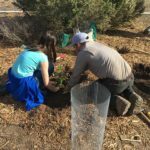 We will be helping nature’s recovery by weeding non-native plants, thereby giving natives a better chance of establishing. We have selected dozens of locations where we will be photographing the changes and creating time-lapse videos to document nature’s recovery. We look forward to sharing these with you in the future. There are a few areas on the preserves which will require aggressive intervention. 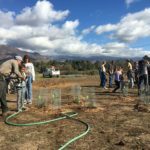 Just over two years ago (October 2015), we removed a 36-acre orange orchard from the Ventura River Preserve, and have been actively restoring this area. 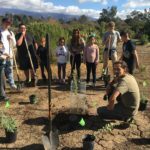 Before the Thomas Fire, we planted 3,488 plants, including 1,308 coast live oak trees. 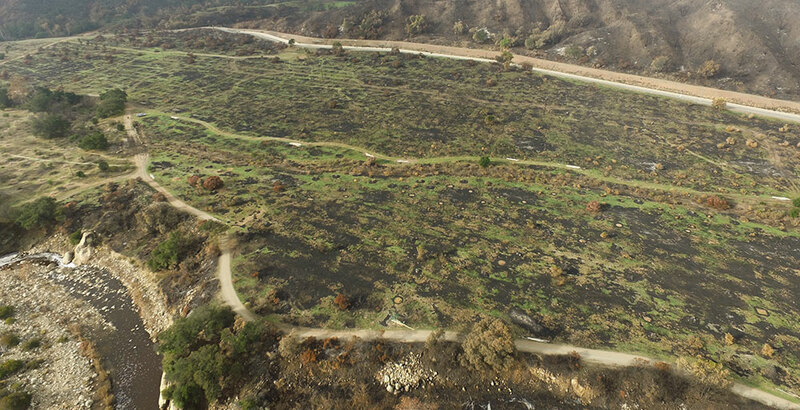 The blaze of the Thomas Fire burned through 29 acres of this restoration area. 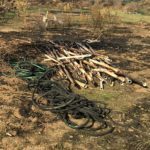 The plantings, ranging from one to two years old, were completely scorched. Because these plants were so young, we don’t expect to see many of them grow back. We have however, seen a few dozen white sage, mugwort, coast live oaks , giant wild rye (grass), and bush mallow growing back since our rain storm in January. 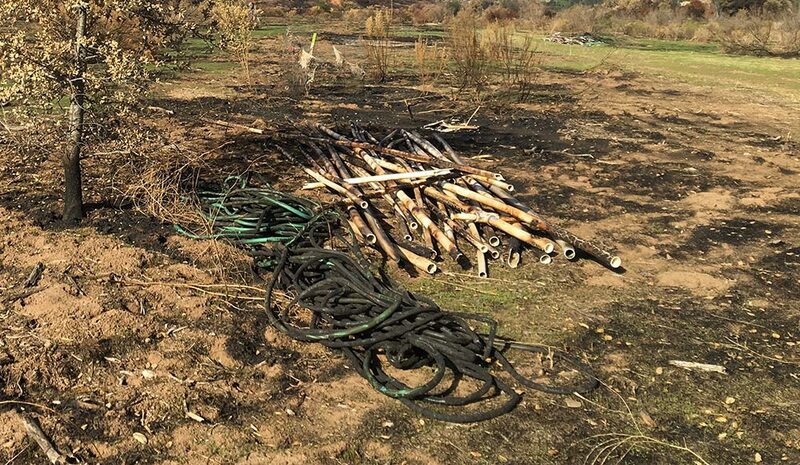 We have had two volunteer events to clean up the burned and melted irrigation system at the site. Thank you to our amazing volunteers that made it out and helped us clean up the char and put acorns in the ground (see next page)! New pipe and hoses have been purchased and they will be delivered in this month. 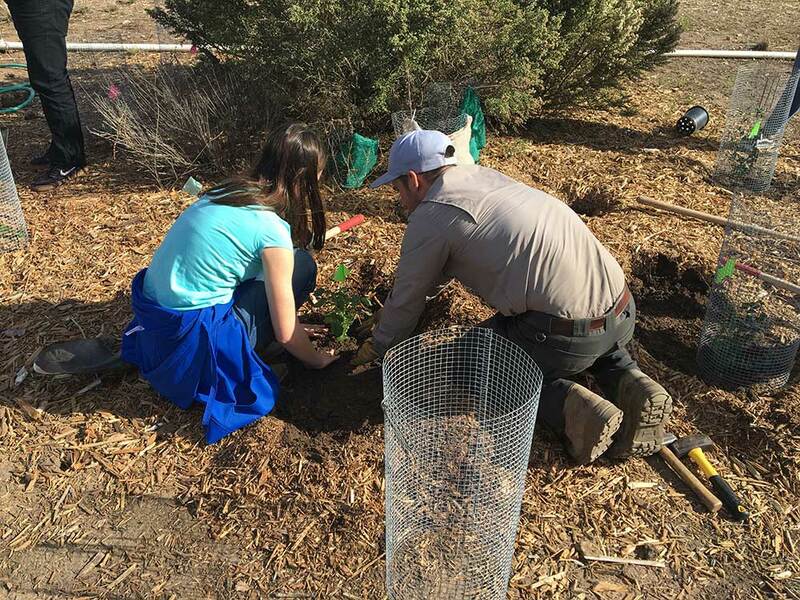 We hope to start replanting about 6 acres of the site with coast live oaks and native shrubs this spring. 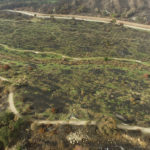 The long-term goal is to replant the entire burned area of the restoration site, but new funding sources are needed to get this project up and running once again. Running down the middle of the oak restoration area is the Rice Creek Realignment and Restoration Project. 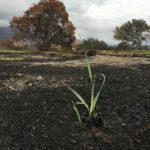 This project also burned, however the plantings here are approximately six years old so we are hopeful that more of those plants will recover. 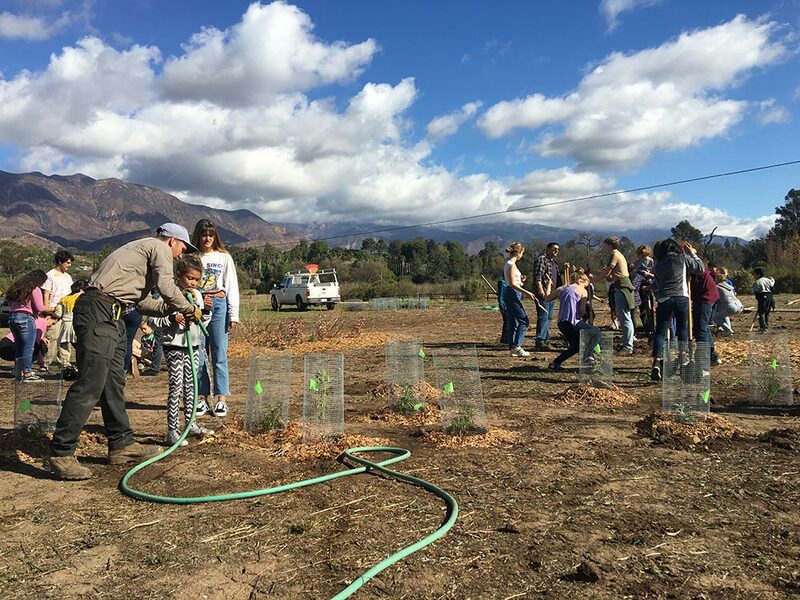 On the Ojai Meadows Preserve restoration continues. Thankfully this area was not affected by the fire. 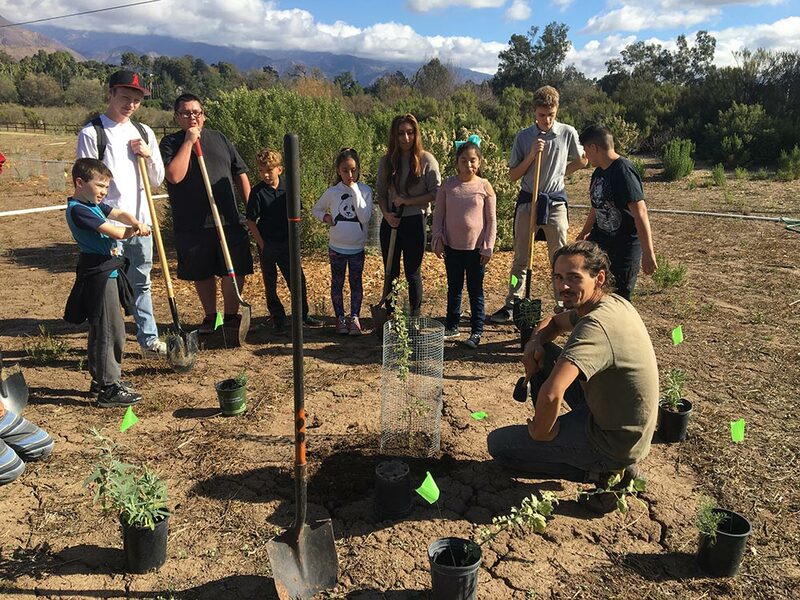 School groups from Nordhoff High School have been coming out to help plant the restoration areas. 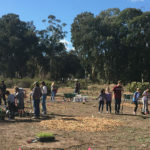 This winter, the high school students brought their little buddies from Meiners Oaks Elementary School to spend a morning on the meadow learning to plant native plants together.